OMG guys, I cannot describe to you how happy I am with this Healthy Banana Bread! I will try, but I am not sure it will do it justice. It is; moist, sweet and I really had to hold myself back from eating it all. My family thanked me for my sacrifice. I have been lucky enough lately to have a glut of overripe bananas to use for baking. I say in luck because bananas are pretty hot property around here. And they have been integral in replacing an added sugar in a lot of my recent recipes such as my Strawberry and Coconut Cookies and these Apple Oat Cookies. And because this Healthy Banana Bread is also completely added sugar free I think it is worthy of the title ‘healthy’ but given banana bread is still a discretionary food maybe I should have called it ‘healthier’ rather than healthy. But everything in moderation right? 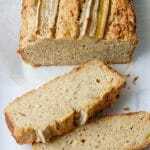 Not only is this amazing Healthy Banana Bread completely free from added sugar, it is made with wholemeal flour. Adding wholemeal flour instead of refined flour is a great way to get some extra fibre into your diet. And if that wasn’t enough, this recipe for healthier Banana Bread also has a good serve of protein in every slice from the eggs and the ricotta. I was actually really surprised that the banana bread was sweet enough with just the bananas as the sweetener. I wavered a lot before deciding to test the first batch without adding a sugar replacer such as maple syrup which is what I was thinking of using. 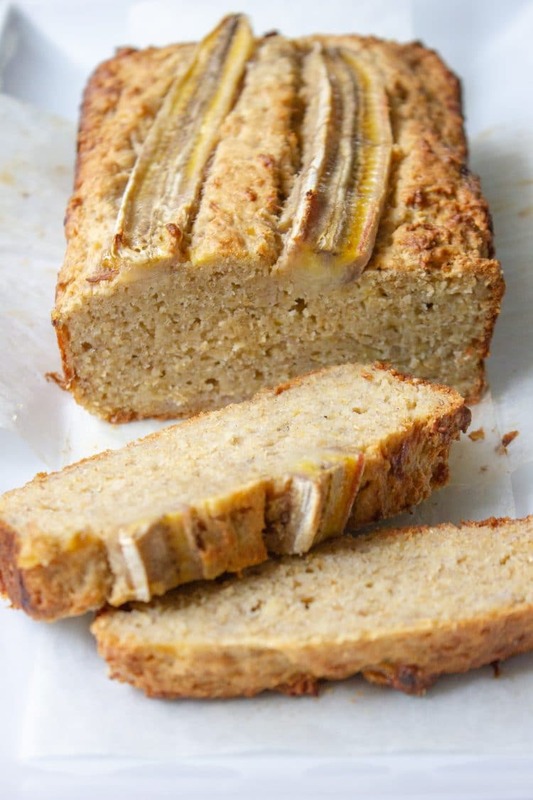 And I am glad I didn’t, this Healthy Banana Bread is truly sweet enough without adding sugar. What helped was that the bananas I used were quite ripe, which is important in ensuring the bake is sweet enough. 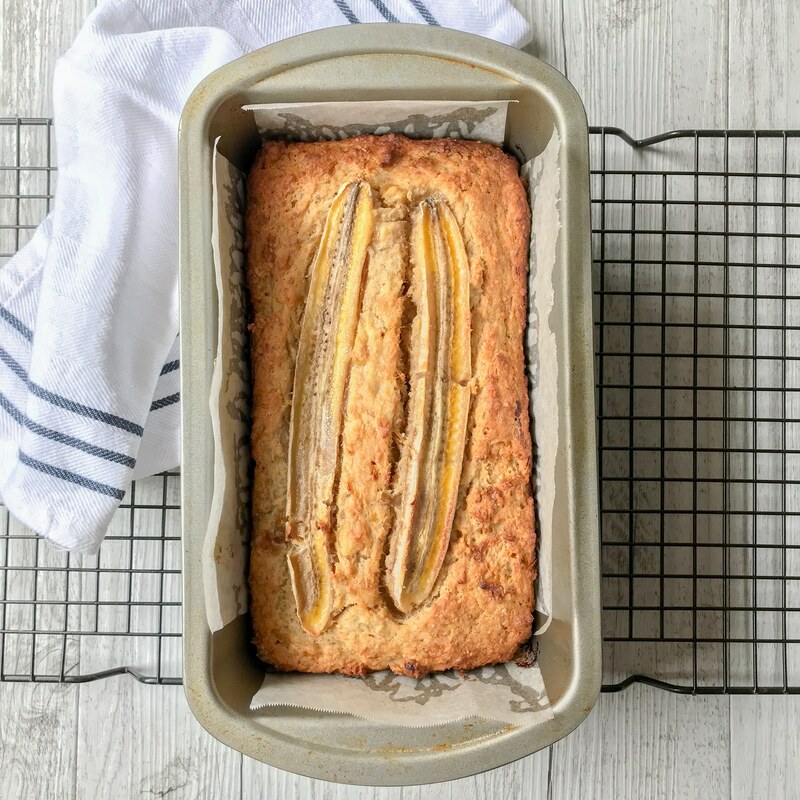 I used butter in this delicious Healthy Banana Bread because I wanted a creamier taste and texture. Though, I am sure you could try 1/2 cup of your choice of low flavoured oil if you did not want to use butter. Please note I did not test this variation. 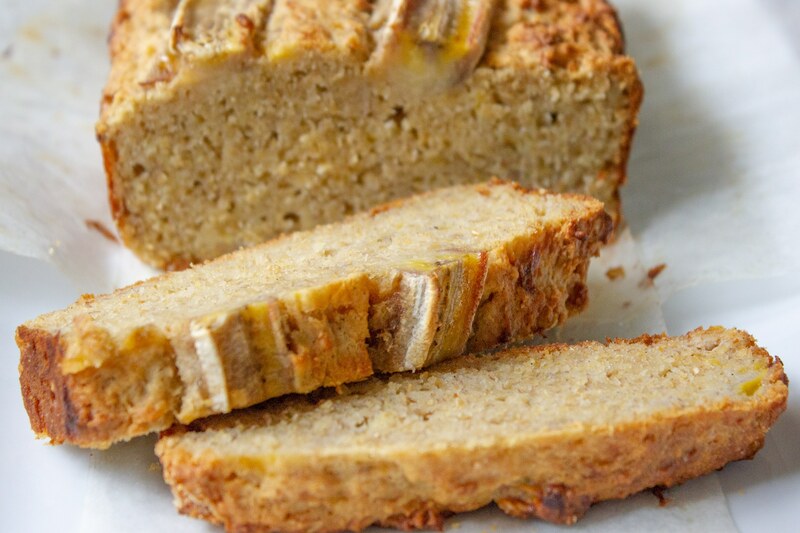 The ricotta also adds to the creaminess of this Healthy Banana Bread. I really love ricotta in baking and cooking. I think it adds a moisture to this banana bread recipe. 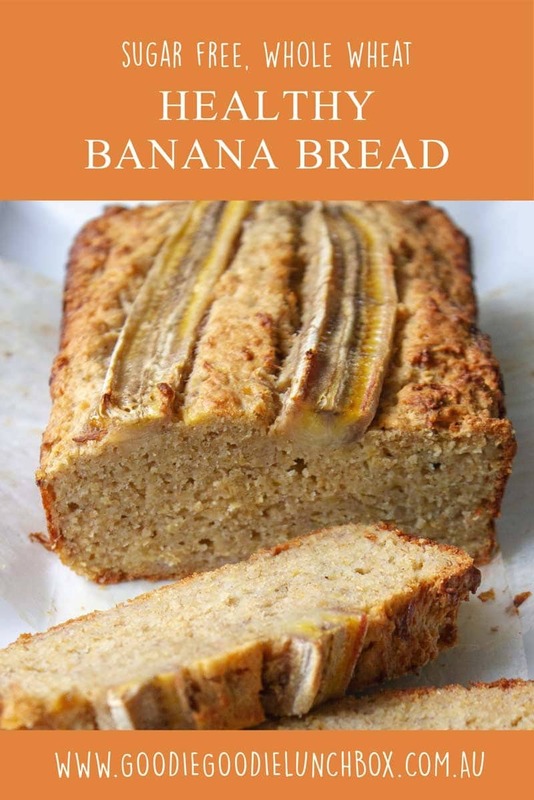 This delicious, moist Healthy Banana Bread contains no added sugar and it is sweetened only with fruit. 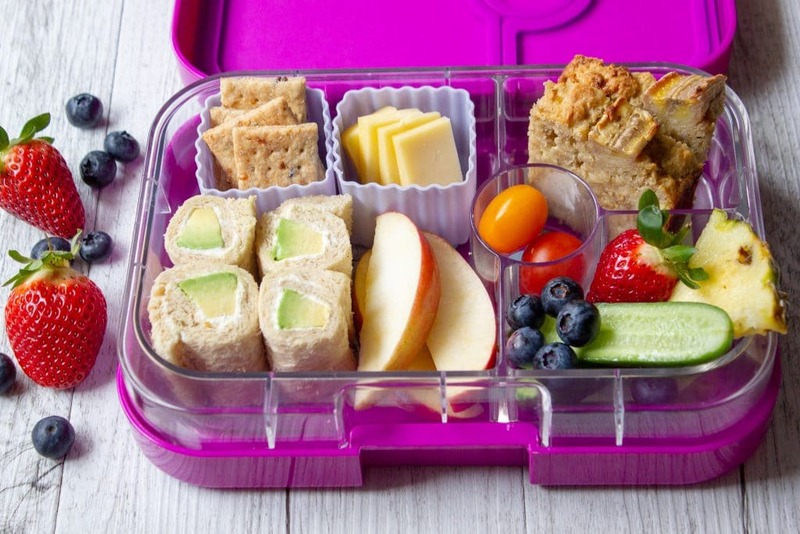 It is a perfect healthier baked option for breakfasts, lunchboxes or snacks. I hope you love this Healthy Banana Bread (or Healthier Banana Bread if you prefer) as much I as do. If you do bake this, share your pictures with me on Instagram or Facebook I would love to see it! And don’t forget to pin this recipe for later! I love banana bread and this loaf does look so moist. My whole family will love this! Can i substitue Vanilla bean paste for Vanilla essence at all? Could I substitute Greek yogourt for the ricotta, and all purpose flour for the whole meal flour? Thank you! Could I use 1 1/2 cups of wholemeal self raising flour instead? Hi, I was searching all day for sugar free wholemeal banana bread 🤩. Can i use oil instead of butter? plz advise it’s measurement as substitute in this recipe. Tks a ton. My loaf pan is 21*10cm does that mean I have to bake it longer? As I have tried this recipe but it fell apart while removing it and it wasn’t holding up well together. I let it cool for anout 15min before removing it but when I did remove it the inside was still very hot and it fell apart. What have I done wrong? It tastes amazing though. Thank you. Totally delicious, my two and a half year old son loves this and so do I!